Supermicro announced two new platforms based on the Intel Xeon D-1500 processor family. The X10SDV-TLN4F and X10SDV-F will both feature the top end (at launch) Intel Xeon D-1540. The Xeon D-1540 SoC is an 8 core 16 thread processor running at 1.9-2.5GHz and with a TDP of 45w. The Broadwell-DE based platform is built on Intel’s newest 14nm process and is a 64-bit processor based on standard Broadwell cores. As we mentioned in our Intel Xeon D launch piece, the SoC supports VT-d/x, TXT, AES-NI, SR-IOV, and Xeon RAS. [Update: Intel has confirmed to us that the Intel Xeon D-1500 family does not support SR-IOV] The SoC also integrates built-in dual 10GbE. In addition, the Broadwell-DE platform can accept UDIMMs or RDIMMs and DDR3 or DDR4. 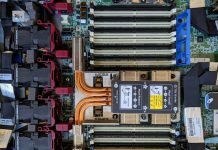 The Supermicro X10SDV offerings use DDR4 and have four slots feeding the dual channel memory controller with 2 DIMMs per channel. This gives the X10SDV up to a 128GB memory capacity. The Supermicro X10SDV-TLN4F and X10SDV-F are compact mITX based solutions and are targeted at network security appliances, SMB server/storage, web hosting and dedicated server markets. Overall the PCB is packed with components and is largely made possible by the new SoC. Pricing wise we have heard around $800 estimated street pricing for the Supermicro X10SDV-F and availability in the mid-April time frame. The Supermicro X10SDV-TLN4F should cost around $80-$100 more and end of April production ramp. 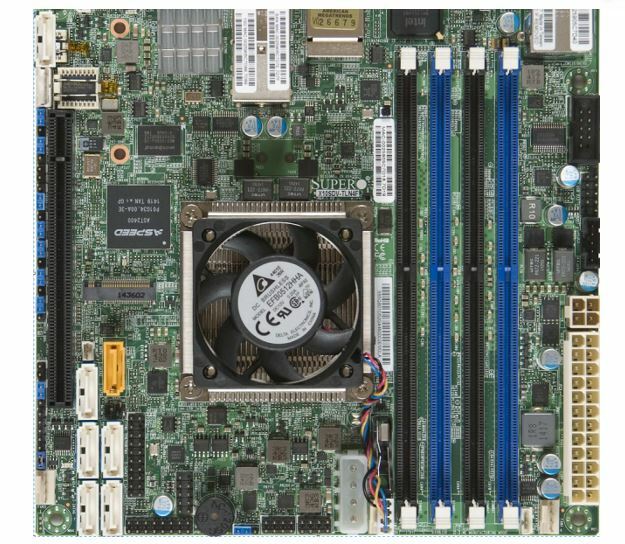 Supermicro does have limited production boards shipping to large customers at launch from what we understand, but it will likely be a few weeks until we see these fully stocked in the channel. Why can’t they have two m.4 PCIe 3.0 x4 slots? Mirrored NVMe for 3GB/s throughput mirrored. Thanks for this Article Patrick. Leave it to STH to have spotted this Processor. Your SM Chassis Reviews are +1 also ! Wonderful website. For an old geek who just likes to tinker with ESXI, this is still quite tempting. I am afraid that 10gb ethernet will send me down the dark road of new managed switches. I am going instead with a recommendation that I believe I saw here which was for the X10SRL and then pick my own Broadwell.